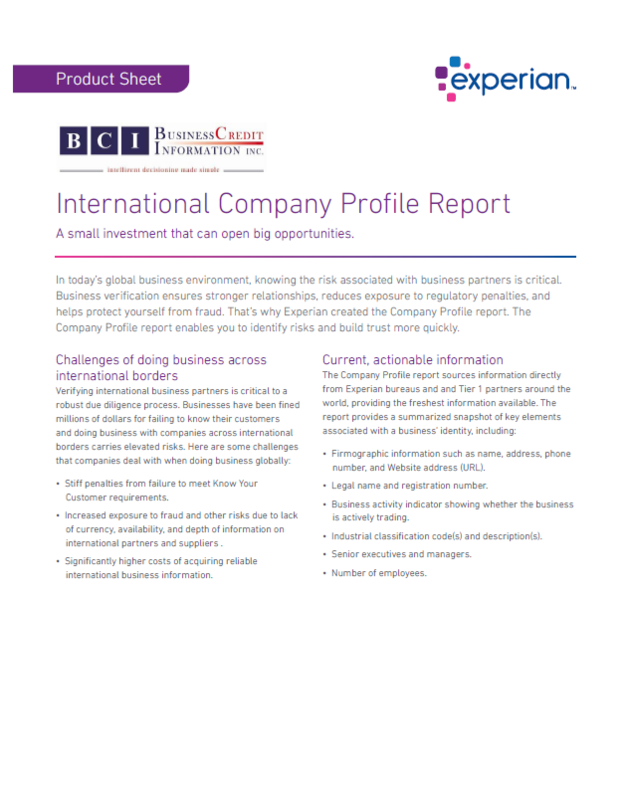 Leveraged through BCI and Experian's global network of data partners — gain access to updated commercial credit and financial information on businesses in more than 225 countries. Full coverage is available online in most countries. If not found online, a freshly developed report can be ordered and delivered in a little as 2 to 3 days..
BCI provides quick, online access to Canada's largest, most comprehensive commercial credit database – with reports on more than 2.5 million Canadian businesses. This easy to read report enables fast and reliable analysis of credit risk on prospects and existing customers.